The capital of Philippines is also called the ‘Pearl of the Orient’, possessing all the qualities of a Congested Asian metropolitan city. From the grinding poverty to glittering skyscrapers- this contrast is exactly what that makes the city Manila. This Asian Megacity proudly boosts its overcrowded roads, a huge population along with the very colorful Multi-cultural Heritage and a modern lifestyle. The experience in Manila will be very different from the usual island retreat of Philippines. Here, life is fast, yet the combination of Latin culture along with typical Asian monochrome is bound to keep all the visitors mesmerized. 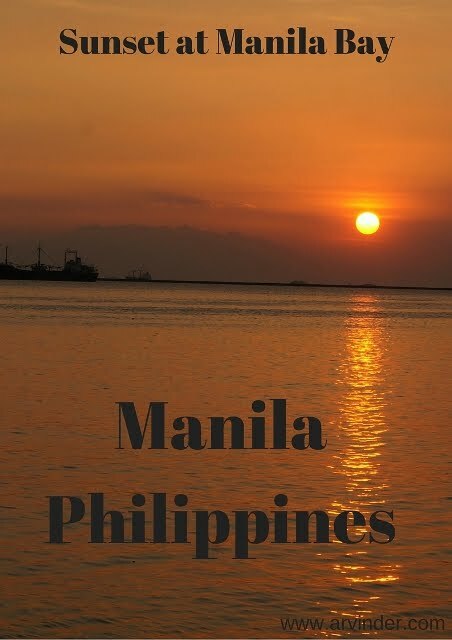 Manila can be also named as the only Spanish colony in Asia. The heritage from the era of Spanish rule still stands to beautify this city. Airport and Immigration - Long lines, they move fast. I was in and out of the Airport in less than 15 minutes. It was 10 PM and I needed a Taxi, most taxi companies will show you a chart with prices, offer to pay half and not a peso more, you'll have no problems finding a Taxi. This term signifies ‘Within the Walls’ in Spanish. The colonial area of Spanish arena is an interesting place to discover, especially in the horse drawn carriages. This walled enclave is situated on the south bank of Pasig River. The art galleries, performing art Venues, shops and restaurants create an atmosphere that provides the visitors a slice of Europe in the heart of the Asia. The centerpiece of Intramuros is definitely the citadel of Fort Santiago, which was used by both Spanish and American Military. The arched gateways, gardens, fountains of this fort are definitely a treat for all the visitors. This church is named as the oldest stone church in Manila. After a devastating earthquake in 1863, this was an only public building which remained unharmed. This church holds the title of UNESCO WORLD HERITAGE SITE under the collective title 'Baroque Churches of the Philippines’. This Church is located within the walls of Intramuros along the Gen.Luna Street. The Manila’s enclave of Binondo was established in 1594 and known to be the first ever China-Town of the world. It was established by the Spanish people, providing some Tax-free land to the Chinese Catholic Immigrants outside the main city. Nowadays, it is one of the most vibrant places of the city, with a lip-smacking variety of Chinese foods. The Binondo Church and converted movie theaters are some other attractions of this city. This famous park is named after the great anti-colonialist hero Dr. Jose Rizal. The declaration of independence of Philippines from the rule of America was held in here in the year 1946. One of the largest parks in Southeast Asia-this is a favorite recreational place for both local and tourists. The national Museum and art gallery is located inside this park. The historical and cultural heritage of the country is portrayed in this place very well. The divisions like art, botany, zoology, geology and anthropology are spread over the two buildings of this museum. This gorgeous villa on the North Bank of Paisg River is now the seat of the Government. The building and beautifully furnished rooms are the main attractions of this place. The visitors can enjoy the excellent museum located inside this villa. The garden around this place is also a very great place to roam around. Photography is NOT allowed at Malacanang Palace, its a heavily guarded Compound. • Just outside the Mall of Asia, the best place to enjoy the sunset is the Waterfront of Manila Bay. Enjoy the waterfront with an ice-cream from roadside vendors. • Visit the unspoiled beach of Subic Bay, the flora and fauna, to get a sample taste of the island retreat of the country. You can take a hike in the forest trails; enjoy the water sports and the coral reef. However, don’t miss the open sea, Marine Park, to get the glimpses of Dolphins, and take a scuba driving. • The local transport of this city includes Rustic WWII Jeeps (Jeepeny), which is one of the most affordable ways of traveling in this city. Do take a ride in this jeep to get a taste of real Manila. • If you are up for some adventurous shopping, do visit the Quiapo market. The crazy trinkets available in this market are bound to be the most adventures gift you can take from this city. Although Manila cannot be described as the most gorgeous or cleanest city of Asia, it is definitely one of the cities with thrills, fun and full of life of this continent. I had no idea that the Spanish had influence on the city. I had a roommate from the Philippines and since then I've always wanted to visit. Hi Audrey! The Philippines was actual under the Spanish rule for 333 years. Quite a number, right? That's why in common marketplaces, we usually use Spanish counters when dealing with prices (say, cincuenta, beinte cinco, etc.). And we have a lot of local words derived from Spanish so we can easily guess a few Spanish words based on our local lingo.